Clash of Clans: Finally Town Hall level 9! Hey everyone, and welcome to my blog! Here you will find quality blog posts that talk about my mobile gaming experiences, and also advice on games. For those of you who are new, welcome, and for those of you who are old followers of this blog, I’m so glad you are here! Today’s post will be about Clash of Clans, and the upgrading of my town hall. (If you don’t know what a town hall is, click here to check out Supercell’s (the game creator) COC webpage). It’s been over a year since I’ve had a town hall level 8, and I have finally upgraded to a level 9 TH on my Clash of Clans account. This is a huge step in Clash of Clans, since most people don’t upgrade their town halls for a while (in order to “max out” everything else they have in preparation for the new step in upgrades). I guess I can say that I wasn’t quite ready for this new jump, since all my stuff, mainly my walls, weren’t fully upgraded, and now I’m up against way better players than myself in wars and normal battles (since they are usually th9’s with maxed out th8 stuff). But I am still happy for the change, as it has brought me back to the game that I once was a huge fan of. Also, my trophy levels are low, so at least I battle players that aren’t trophy pushing, or in other words, the best players. Don’t rush your town hall, it usually makes things harder on yourself. Refrain from trophy pushing early on in your next town hall level, keep it easy and low for easier and more effective gameplay. If you become bored of the game, or feel like it’s not fun anymore, upgrade your town hall and make it fun again! Also, on a side note, I now have 5 builders huts, the most you can have in the game, so that’s pretty cool (as they are a TON of gems, and gems take a while to get). As always, I hope you found this post interesting, and if you did, please like, comment, and follow this blog for further updates. Have a nice day, and Clash on! Clash of Clans First Money Spending Gem Experience! It was done. I finally spent money on Clash of Clans, and ever since these brand new deals starting coming out, I figured that it was worth it (it was). I know it’s hard to see my Clash of Clans base, but to be honest you don’t really want to see it, it’s not that good for someone who’s been playing for a while. The main thing I wanted to show you is the fact that I bought the Town Hall 8 Pack, which I used to upgrade my town hall (finally!) to level 9, and I used the amazing new bomb tower for a better defense. But, since I know that all of you probably like seeing what’s going on, I’ll show you the base pictures up close in a slideshow. So, the takeaway for this post is, if you see a good offer (like the one I just got) in your shop in Clash of Clans, take it, and use the supplies wisely. That’s pretty much it for the post today, I’ll be trying to import silent videos of game play later on in the COC posts, so please stay tuned for that! Thanks for reading this post (assuming you are reading), and have a great night! But remember, Clash On! Welcome to Clash of Clans with DamonDaBoss! Hey everyone! 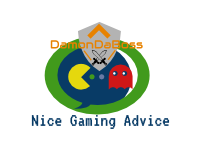 This is DamonDaBoss from Nice Gaming Advice, bringing you today a blog post about Clash of Clans. For those of you who don’t know what Clash of Clans (COC) is, it’s a strategy game made by Supercell, which has given many of the ideas of Clash Royale (Which I already made posts about previously)’s cards and characters. Clash of Clans has been one of the most popular apps for years, and its influence has brought to pass games like Clash Royale, Boom Beach, and Hay Day (all made by Supercell, on their website). If this game has been popular for so long, why haven’t I played it yet? Thanks for reading this, and have a great day. But remember, Clash on! Check out the other [current] blog subjects!